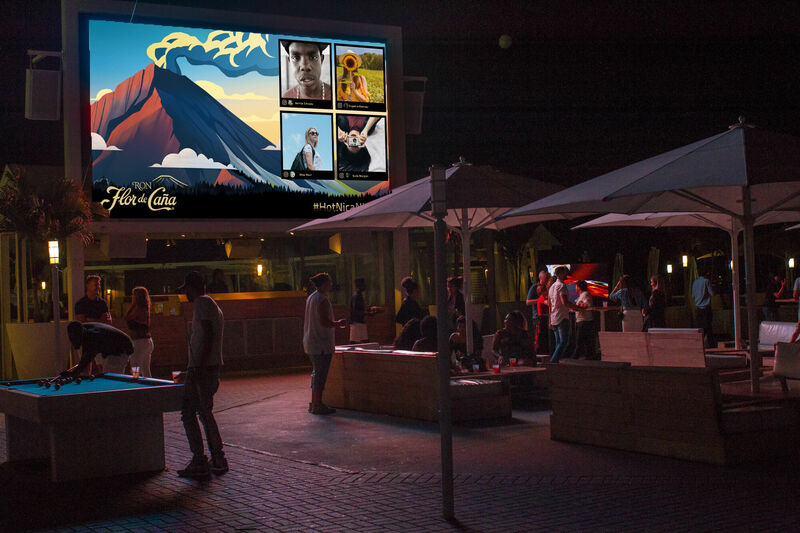 A social wall is a great add-on for places where a digital signage is present! They allow you to curate the best content with our user friendly moderation and display it live on as many screens of your choice without the need to upgrade your hardware. It can also be customizable – If your display is vertical or large-scale, don’t worry – we got you. Our team will work with you to create a fully customized experience that correspond to your needs! Events are among our favourite places to be! No matter the type, rest assured that a social wall is an amazing tool to get tons of engagement from your guests. Advertise your branded hashtags on your screens, get a contest going and showcase the best tweets and grams for everyone to see! Plus, it’s premium advertising space for your sponsors. We also made you a full list of why you NEED a social wall if you’re an event planner here– so make sure you check that out! How’s that for team spirit? If you’re a human resource manager and you’re looking for a simple way to engage with your employees, a social wall might just be right for your company! It’s the perfect way to share the latest announcement or pictures among the office. Just won an award? Put it on the wall! Bagel Friday? The wall. You made the perfect latte using the office’s espresso machine? You get the idea! 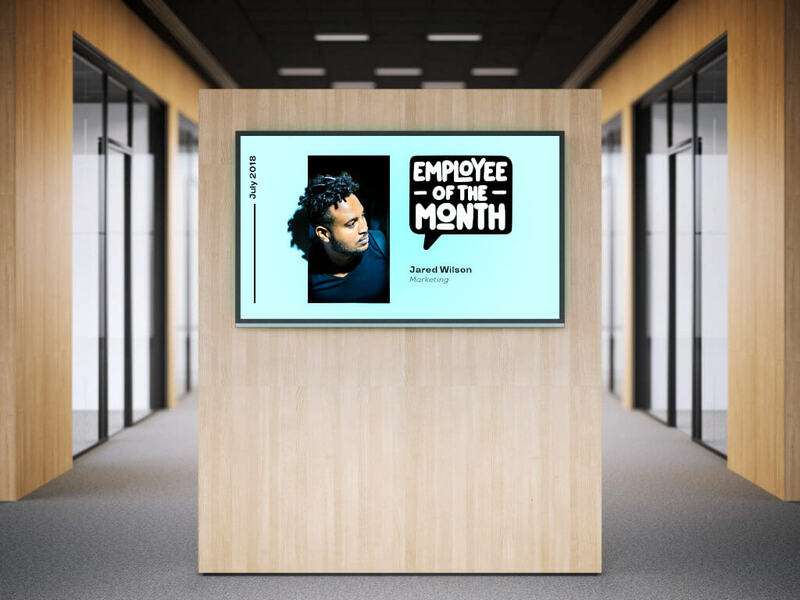 It’s engaging for your employees to have a place to share their victories and daily anecdotes and a social wall is the easiest way to manage internal announcements – just upload a picture or a video and hit refresh. It will give your employees a platform to express themselves, and will definitely show how great your company culture is! Really, we’re your HR department BFF. From wishing students a successful and stress free exam week to celebrating the latest football’s team victory – a social wall is the way to go for any University, College or High School. By targeting the different hashtags used by your various departments, we’re sure the content and research published by the experts on campus are going to be seen by as many people as possible – don’t limit your school innovations to a vertical silo. Let it shine all over the place! From the latest lab results to the inner of your local science fair – no school is too big or too small to ignore the impact a social wall can have on campus! 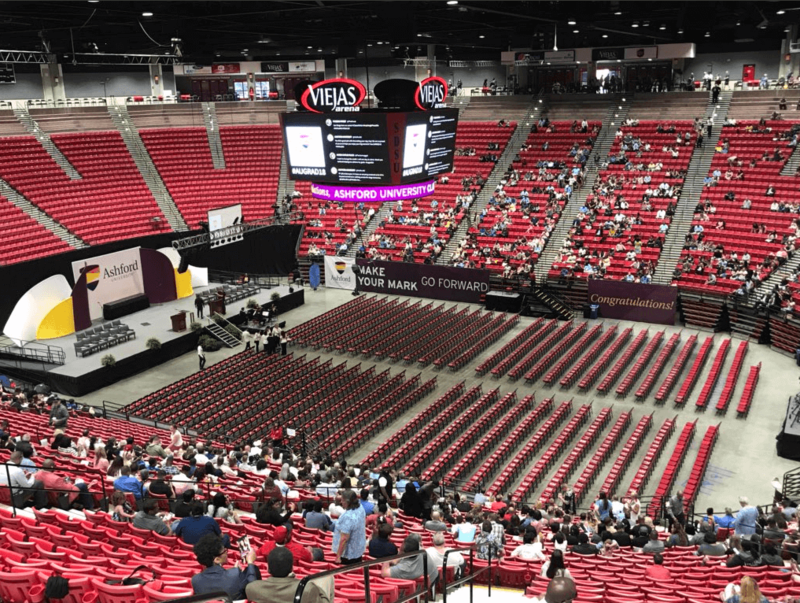 Just think of how proud your students are going to be to share their graduation pictures and goodbyes to their favourite teachers on graduation night! PS: We offer special pricing for schools and non-profits. Got questions about how we could help you integrate a social wall with your existing digital signage? Send us a message below and our team will explore with you the endless possibilities offered by our social walls.